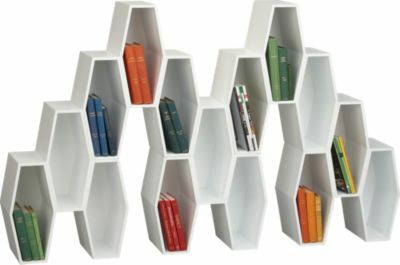 You may have noticed that there's been a dearth of affordable, even actually available bookcases on BW as of late. And while drooling over the unattainable has been glorious, I think it's time I featured a sharp bookcase that we civilians can actually afford. 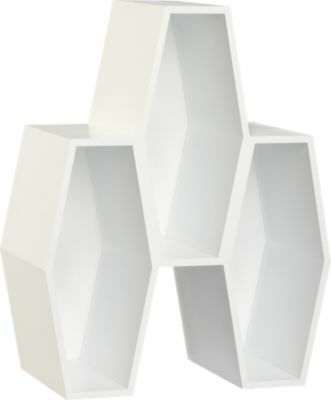 Cue the hive storage unit from CB2. It's sleek, arresting and award winning (it picked up the Coup de Coeur award at the 2009 Maison & Objet show in Paris). And at a nickel shy of $80, it's also ridiculously easy on the wallet. It's made of wood composite - aka MDF - and comes in matte white, matte white, oh - and matte white. Size-wise, it's 20.75 inches wide, 10.75 inches deep and 26.25 inches high. There is some bad news, however - it's only available from CB2, and with only eight CB2 locations in the country (but coming soon to Toronto!) that means you're probably going to have to pay for shipping.